Orlando Property Management Company - American Dream Homes, Inc.
American Dream Homes, Inc. is a full service Orlando property management company and real estate brokerage. American Dream Homes, Inc. is a full service end-to-end Orlando property management company and real estate brokerage. Since 2012, our company has been offering comprehensive real estate services throughout Orlando, Florida. 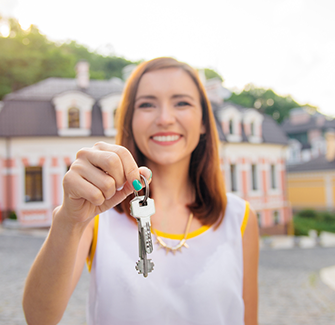 Whether you are looking to switch to a preferred residential property management company, or you are finding a new place to call home, we would be happy to assist you! The right property management company is worth its weight in gold! Our services are designed to help you realize the full potential of your investment. You can count on us. We treat your property as if it's our own. Contact us today! 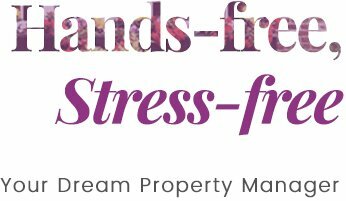 When you apply for an American Dream Homes managed property, you can trust that you will receive a stress-free experience and a long-term rental you can truly call home. We treat every tenant with the same respect we want to be treated. Are you an investor looking to purchase in Orlando? Do you have a home you need an experienced REALTOR to help you sell? Our real estate services and competitive rates are second to none in Orlando and throughout Central Florida! Congratulations to Lilia Olmstead! Your video was chosen as the winner of our 2018 $1,000 Creative Video Scholarship Award! Whether you need stellar Orlando property management services, or you’re looking to buy or sell a home, please get in touch with us and find out what we can do for you! We offer very competitive rates! Get in touch with us and we make it our aim to maximize your every dollar with your real estate investments in Orlando and Central Florida. As a property owner, we are here to add significant value to your investments by helping you realize its full potential. Anyone who is a seasoned real estate investor will tell you that the right Orlando property management company is worth its weight in gold. One of the ways we do this is by freeing up your time so that you can focus your energy on other things that matter the most to you. In addition, we work hard to make your life easier and more profitable. You can sit back and feel at ease when you use our service because we take care of all the hassles to include showings of the properties, rent collections, and handling all of the paperwork. We provide you with an “Owner Portal” which you can log in to from anywhere and anytime (24/7) to view your monthly statement report. When rent is received, all rental income will be deposited into your designated bank account immediately. Whether you live in another part of town or reside in another country, you will not have to worry about how your rental property is being taken care of because we handle all of the details for you. With our service, your property and tenants are treated as if they are our own. If you are ready to use the best in local real estate and property management services for your home, then contact our team today and see how American Dream Homes can help you. By offering more services and getting the best results possible, you never have to worry about how your home will perform. We are one of the most trusted Orlando realty and property management companies today. Our resident services streamline our processes and we work with property owners very closely to ensure that all renters and tenants have a clean and well-maintained property. We make the process efficient and stress-free to help you find a new long-term rental experience. When you contact us, we will help you take a look at our available properties to start your path towards finding your dream home. We make submitting maintenance requests easy through our online system if you ever need us to come out and fix an issue. We also make paying rent easy and convenient by providing a “Tenant Portal” which is available 24/7 to submit your rent payments online. If you are searching for a rental property in Orlando, Windermere, or Kissimmee, the help you need is always just a click or a phone call away. Give your Orlando property management company a call today! American Dream Homes, Inc. is a fully licensed real estate broker in the state of Florida and can assist you with buying or selling a home. Buying or selling a property are both major financial decisions and our services help you make the most careful choice. For buyers, we help show you how property ownership is an excellent choice when it comes to making an investment and we’re here to serve you to maximize your profits. With our Orlando property management & real estate company, you will know exactly how to price and when to sell your property. Orlando property management companies provide comprehensive support to property owners that starts with finding tenants to filling vacancies and continues with collecting rent, handling maintenance on the property, and even working with the numbers to set rent and budgets. Property managers in Orlando may assist with the everyday needs of tenants and can provide comprehensive rental assistance or offer just a few services like rent collection and listing vacant units with local real estate property lists. Property management companies routinely provide services to large, multi-unit apartment communities, as well as offer tenant assistance for single-family homes, condos, and duplexes. What responsibilities are required of an Orlando property management company? As an Orlando property management company, we commonly assist in setting and collecting rent, but the assistance we give to investors and property owners often covers a diverse array of property ownership responsibilities. When we work with a property owner for the first time, we create a plan designed to benefit the property owner, as well the tenants. Responsibilities of a property management company may include any or all of the following. From setting rental prices to collecting rent and notifying tenants of rent increases, many of our responsibilities revolve around the monetary transactions required in property ownership. Using state-of-the-art technology, an Orlando property management company like ours will make it easy to submit and receive rent, and we'll also handle late fees for tardy rent payments, too. A well-run apartment community is a safe and habitable home for its tenants, as well as a profitable endeavor for its owners. Responsive and timely maintenance assistance is an essential component of Orlando property management. For scheduled visits, we may arrange routine visits and inspections, as well as plan yearly checks on the home as preventative maintenance. When handling unscheduled maintenance, we may assist with simple tenant problems like broken water heaters or appliance issues, or any problems not handled during regular and preventative maintenance visits. We may also act as a point of contact or liaison during a situation that requires assistance from emergency personnel. With American Dream Homes, Inc. we have our own in-house team of experts that can handle most maintenance issues and repairs at a fraction of the cost of what most property owners may receive if they went with a local competitor. Finding the right tenant for a vacant property may involve several steps that go well beyond sitting down with a pen and a contract to sign a lease. Property management in Orlando begins before the unit has even reached the market. Finding tenants through smartly written advertising. Screening tenants via criminal background checks and credit checks. Writing and signing leases with approved tenants. Settling affairs with tenants when they leave the property. When a tenant's time at a managed property ends, the responsibility of an Orlando property management company is to begin the process again to find a new, suitable tenant. Working with Orlando property management companies like ours means reducing the time units spend vacant. Low tenant turnover means the highest possible return on investment. Many people and housing units fall under the careful watch of an Orlando property management crew. From employees hired to provide regular maintenance services to vacant properties that have yet to receive a tenant, we help protect properties with a vigilant eye. Vacant properties in a densely populated area may invite criminal activity and illegal squatters, as well as experience problems due to a lack of preventative maintenance. We provide property management services whether the property has a tenant or not. Protecting a property owner's investment can become even more valuable when the property owner isn't a local resident and must rely on the expertise and assistance of local property management in Orlando. Responsibilities of comprehensive Orlando property management services may go well beyond collecting rent and fixing clogged toilets. Obtaining and operating within an appropriate budget, dealing with legal issues related to tenant law, and maintaining comprehensive records can all fall under the responsibilities of the property management company. The State of Florida provides explicit language within its statutes regarding tenant rights and the responsibilities and rights of property owners. While a property owner may benefit from the knowledge of these laws, a property management company may offer the best way to operate in a legal manner. A property management company can even assist with handling Homeowner's Association (HOA) issues, as well as maintaining records of all inspections, expenses, and payments made in connection with the property. Virtually anyone can become a successful property owner, but hiring an experienced partner for property management in Orlando can make the experience easy and fulfilling.